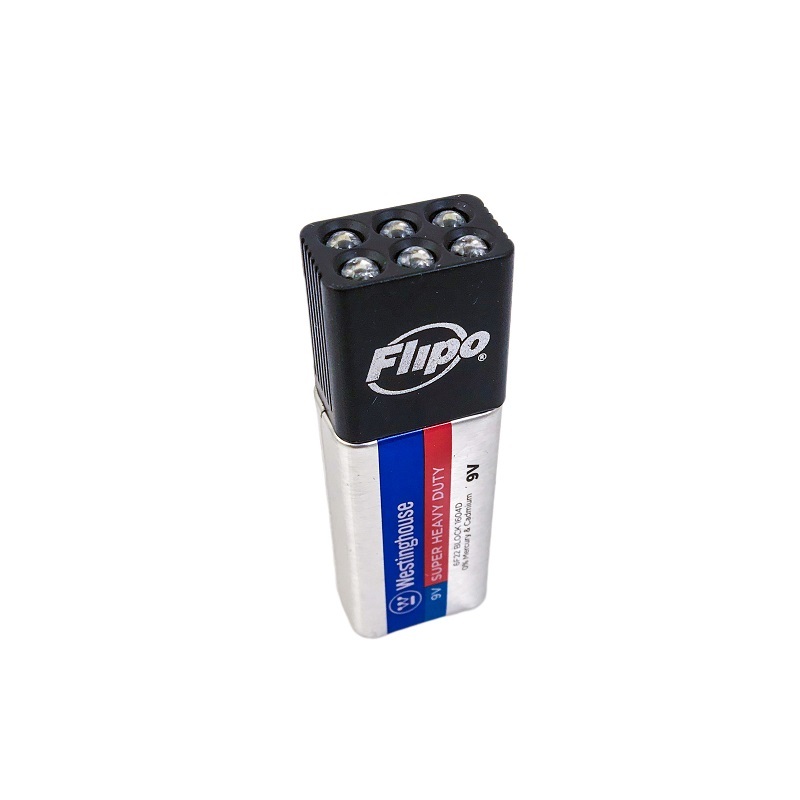 Flipo's NEW Blocklite instantly turns any 9-Volt battery into an LED flashlight. 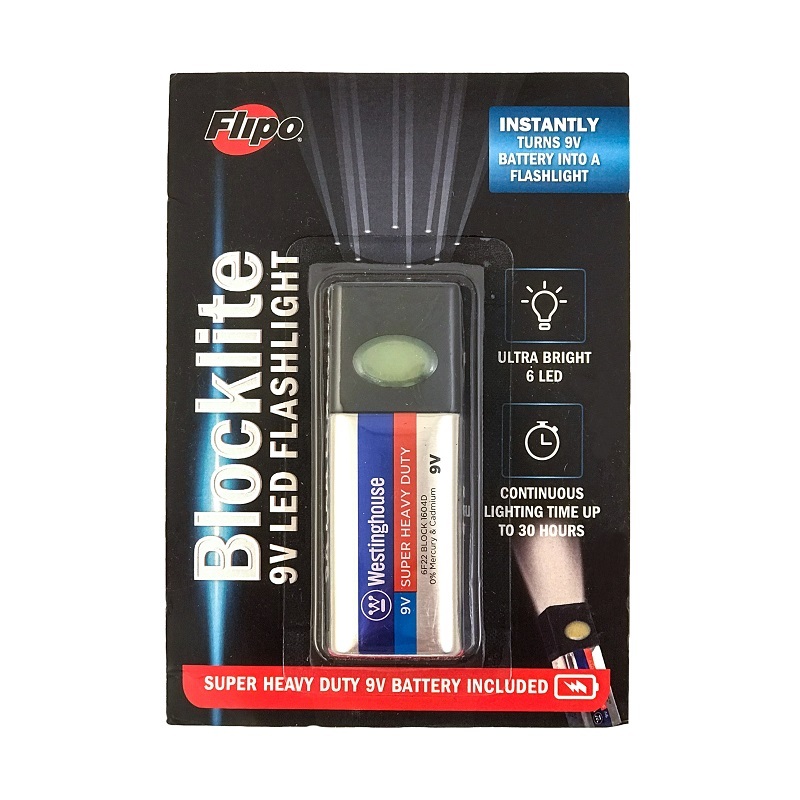 The Blocklite features an ultra-bright 6 LED flashlight with high and flashing light modes. Its compact design allows you to carry and store virtually anywhere. The Flipo Blocklite can be easily stored in handbags, backpacks, tool boxes, center console or glove compartment, drawers, and luggage bags! It's small enough to stick in your pocket but powerful enough to light the way! 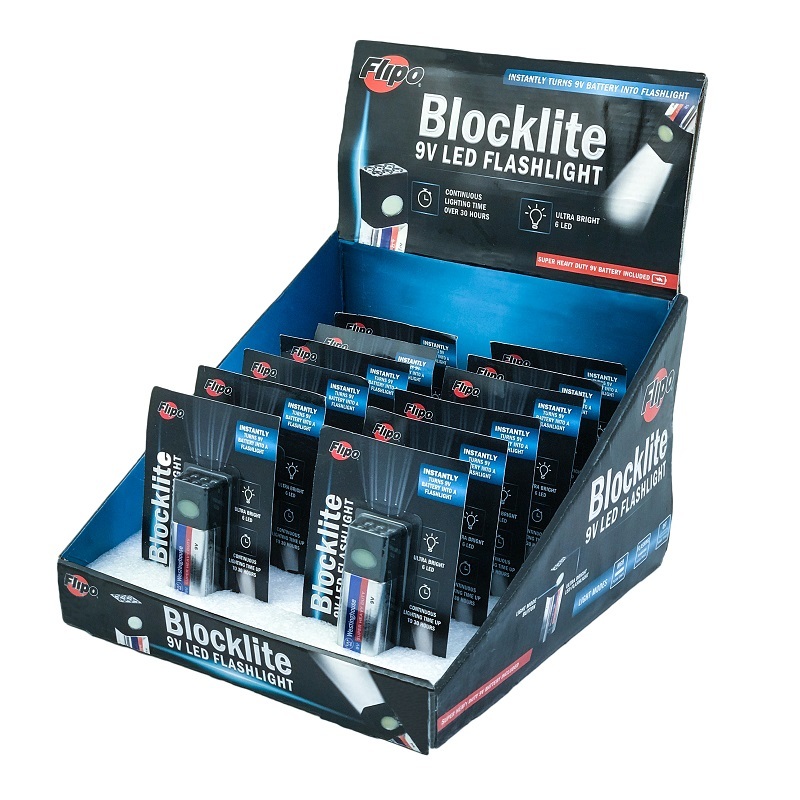 The Blocklite is an excellent source of light during power outages, road emergencies, or on your next camping or backpacking trip! Plus the Blocklite is a great gift for anyone and makes a great fundraiser and a stocking stuffer! 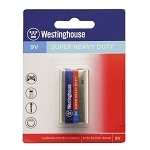 Includes a Westinghouse Super Heavy Duty 9-Volt Battery to power the Blocklite Flashlight attachment. 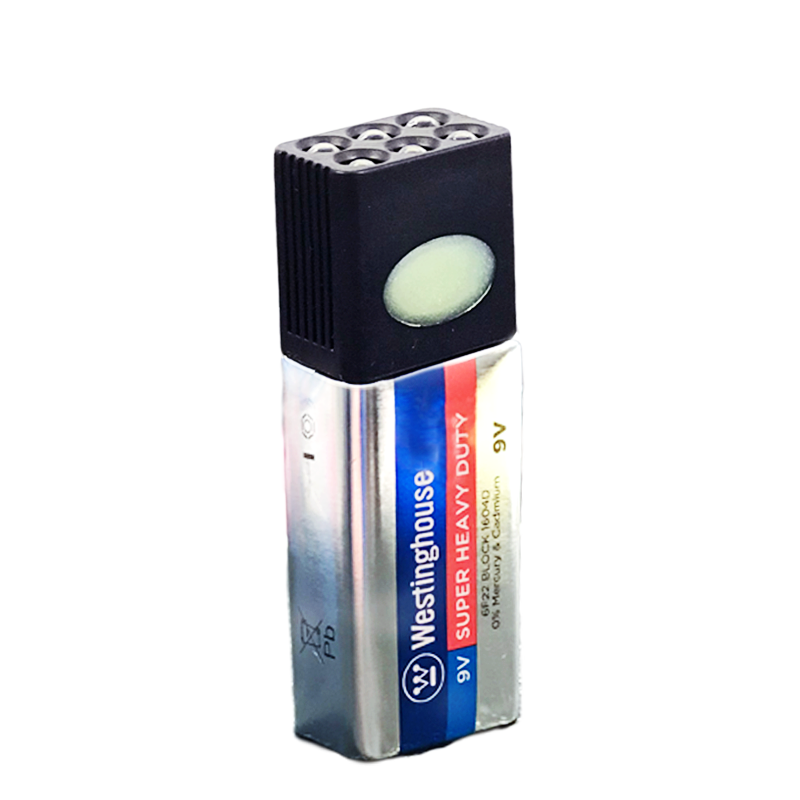 Portable compact design - The Blocklite measures approximately 2.75" tall (with 9-volt battery attached). New Magnetic Body - Attaches to most magnetic surfaces allowing you to stick to your refrigerator or tool box with ease! Continuous lighting time up to 30 hours. Simply replace 9-Volt Battery as needed and you have a brand new flashlight again!!! Super bright 6 LED Flashlight with high and flashing light modes. Display Measurements: 11.75" X 10" X 10.25"